With more than 18 years of experience in IT, Nitin has been working with Government and various Public sector clients on many transformational projects. His core competence include Process Re-engineering, Enterprise Architecture, Consulting and Delivery. He has been part of Aadhaar program (Unique Identification Authority of India) in India. Program has been mandated to provide unique identity to each resident of India and deliver welfare services efficiently. It enables effective monitoring of various programs and welfare schemes of the Government. As a part of UIDAI he has worked on projects like Aadhaar enabled Public Distribution System and Aadhaar linked Pension Delivery. 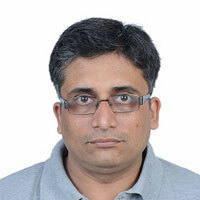 Nitin is a TOGAF-certified Enterprise Architect with rich experience in IT architecture, BPR and Program Management. He has successfully delivered many complex projects within challenging timelines. Prior to joining Accenture, Nitin was Senior Manager (Product) for the Unique Identification Authority of India which is a part of Government of India. He also worked with UNIDO as National Expert. In early part of his career he was an entrepreneur, successfully ran an IT Solutions Company having its offices in India and the UK.